First time I read this 10+ years ago would have given 5 star instantly. Still the best book I've found on fortress warfare of this star fort era. I have long been a military history buff. Several years ago the Army sent me and my family to Germany for three years (93-96). While there I toured several of the old forts built during the seventeenth and eighteenth centuries. It's embarressing to admit, but I ,the military history enthusiast, knew very little about the forts. The engineering, the purposes behind their construction, how the sieges were conducted, nothing. I realized that my knowledge of European warfare effectively ended in the middle of the fifteen hundreds and didn't resume until the mid - eighteen hundreds. The old fortresses fascinated me, thanks in a large part to the fact that I couldn't dechipher the layout of the walls. Centuries of vegetation, vandalism, urban growth, and decay had rendered many of the forts almost non-exsistent. Fire and Stone has helped to correct much of this. It is definitely a technical work and one written more for specialists then the general reader. But it never ascends to a level where the amatuer is simply left in the dirt. It has a wealth of drawings and diagrams, photographs, and schematics. The captions are well written and extremely helpful. There is also a very complete glossary at the back of the book which is not only a necessity but a god send. All to often it seems that authors forget such little details. Without the glossary this book would be impossible to follow. Numerous French, Latin, German, and Spanish terms for the various fortifications and their appendages are used, sometimes different names for the same structure are used! The glossary is an absolute must. The second half of the book is concerns the conduct of a siege for both the besieger and the besieged. Like the first half this part also shows the same attention to detail but never forgets the reader. All in all I have to give this book very high marks. Though it appeals only to a small sector of history buffs I recommend it. And if you have ever visited some of the old forts in Canada, such as Fort Henry in Kingston, Ontario, and marveled at the old fortress and its layout this book just might be for you as well. This is a interesting look at the practical effects of making and breaking forts, and in 189 pages it does this in a fairly indepth way. In that respect it reminds me of Howards 'War in European History'. In some respects it is a very old fashioned work, but thouroughly informative and enjoyable. It's a very nice introduction to early modern fortress design and siege warfare. The writing is vivid, playful, and engaging. The subject is fascinating. 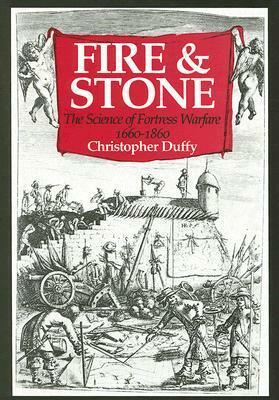 Enjoyable description of fortress warfare in 17th century. Christopher Duffy - Christopher Duffy (born 1936) is a British military historian. Duffy read history at Balliol College, Oxford, where he graduated in 1961 with the PhD. Afterwards, he taught military history at the Royal Military Academy Sandhurst and the college of the British General Staff. He was secretary-general of the British Commission for Military History and vice-president of the History Society of Ireland. From 1996 to 2001, he was research professor at the De Montfort University, Leicester. Today he lives and works as a freelance author.Duffy's special interest is the military history of the European modern age, in particular the history of the German, Prussian and Austrian armed forces. He is most famous for his writings about the Seven Years' War and especially Frederick the Great, which he called self-ironically "a product of the centuries-old British obsession with that most un-British of creatures". Duffy is fluent in six languages and has published some twenty books about military history topics, whereof several were translated into German.